We specialize in serving business owners and many of our clients are freelancers, contractors, and consultants. We know how varied and ever changing your job can be. Let us help take some of the pressure off of managing your projects. Unlike a regular employee, independent contractors can't rely on automatic payments and tax withholding. You want to be sure and take advantage of every deduction possible. We'll show you how and ensure all your records are accurate. Since you are required to collect payments yourself and responsible for all costs too, you don't have time to waste on accounting tasks. Our service packages have everything you need so you can focus on your business. We Wrote The Book On Sub-Contractor Accounting...Literally. This is the definitive guide for independent contractor businesses of all sizes on how to take advantage of the tax code and your cash flow. 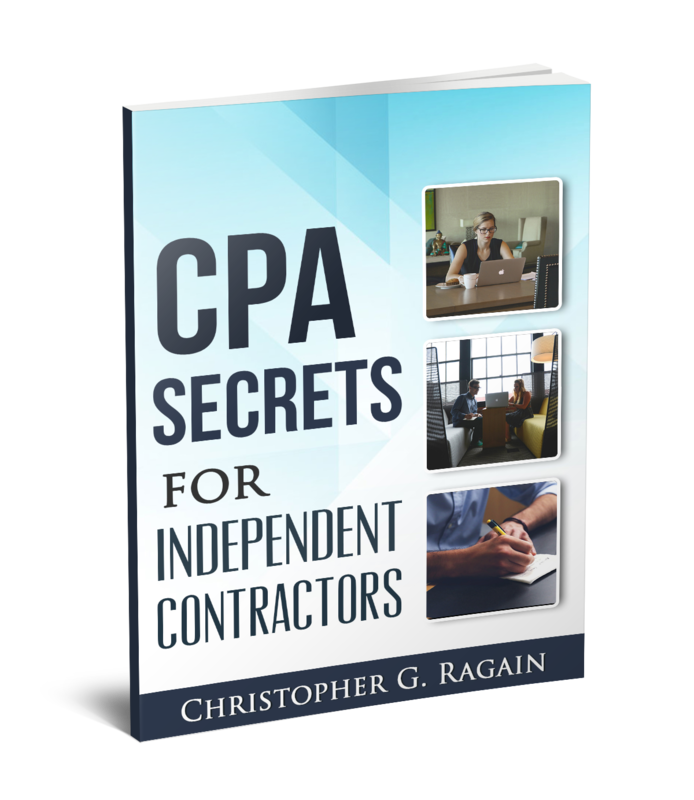 Discover the secrets known by accountants that can help any independent contractor run a successful, profit-making business. Independent contractors are on the rise here in the U.S. and is becoming a more and more desired field for the best and the brightest entrepreneurs. While there is great appeal in the work flexibility this field offers, there is also a lot of internal controls and organization needed to be successful. It's no easy task to be your own boss, but there are many tools that can help keep you on the right track. Our eBook is one of them and will show you how to keep the back end of your business in line and your cash flow running smoothly. And as a special thank you for downloading our free CPA Secrets Guide, we’ve included our tax tips for minimizing taxes and getting the most out of your freelancing lifestyle. Ragain Financial will prepare your corporation documents including articles of incorporation, EIN, Form 2553, and registrations with federal and state tax authorities. Ragain Financial will prepare invoices and send to your customers plus manage the payments. We use an online system that you can access too. If you need payroll for your employees we can manage the entire payroll process for you. We use an online system you and your employees can access. Ragain Financial will prepare the financial statements for your rental property income and expense. These financials will be used in preparation of your rental property tax return. Each rental property must file a tax return. Usually this is on the Schedule E or Schedule C of the Form 1040. Ragain Financial will prepare those returns for you. Every package comes with one (1) state tax return for both your business and personal tax return. If you require additional states or any city returns, Ragain Financial will prepare them. Please Complete the form and we will get started right away! 1) We will contact you with your software logins. 2) Team meetings will be scheduled and information requests begin. 3) Work will begin as soon as information requests have been completed. We know your time is valuable, our on-boarding process is simple and easy. We pay attention to the details and all of the complexities that make your business unique. Christopher G. Ragain, CPA/PFS | Managing Director, Ragain Financial Inc. Choosing an accountant takes a bit of time, and we want you to have all the information so you can make the right decision. During our free call, we will not give you any sales pitches or high-pressure tactics. We simply want to hear about your business, and show you what we would do if you hired us. You already know what we would charge (our pricing is on the site) so this meeting is really laid back and relaxed. No obligations, and we can guarantee you will walk away with a couple of good ideas absolutely free!